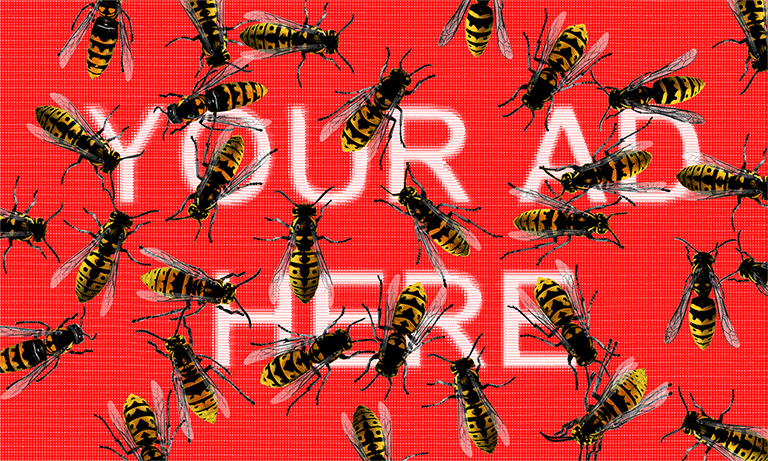 The digital ad business corrals and transforms latent attention into real money. Ads are the source of funding for just about everything you read, watch and hear online. But the online ad machine also collects and profiles data about our behavior, creates incentives to monetize our most private desires and unleashes loopholes that the shadiest exploit. 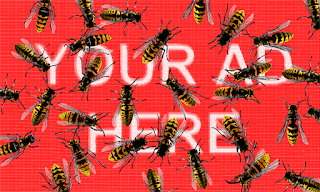 If you want to fix what ails the internet, the ad business would be the perfect perp to restrain and reform. This isn’t that hard. You don’t need a crazy wall to figure it out, because the force to blame has been quietly shaping the contours of life online since just about the beginning of life online: It’s the advertising business, stupid.And if you want to fix much of what ails the internet right now, the ad business would be the perfect perp to handcuff and restrain — and perhaps even reform. And for all its power, the digital ad business has long been under-regulated and under-policed, both by the companies that run it and by the world’s governments. In the United States, the industry has been almost untouched by oversight, even though it forms the primary revenue stream of two of the planet’s most valuable companies, Google and Facebook. Mr. Rothenberg’s organization has long pushed for stronger standards for online advertising. In a speech last year, he implored the industry to “take civic responsibility for our effect on the world.” But he conceded the business was growing and changing too quickly for many to comprehend its excesses and externalities — let alone to fix them. A spokesman for Google, whose parent company, Alphabet, reports earnings on Thursday, said it was constantly policing its ad system, pointing out recent steps it has taken to address problems arising from the ad business, including several changes to YouTube. The role of the ad business in much of what’s terrible online was highlighted in a recent report by two think tanks, New America and Harvard’s Shorenstein Center on Media, Politics and Public Policy. The report chronicles just how efficient the online ad business has become at profiling, targeting, and persuading people. That’s good news for the companies that want to market to you — as the online ad machine gets better, marketing gets more efficient and effective, letting companies understand and influence consumer sentiment at a huge scale for little money. But the same cheap and effective persuasion machine is also available to anyone with nefarious ends. The Internet Research Agency, the troll group at the center of Russian efforts to influence American politics, spent $46,000 on Facebook ads before the 2016 election. That’s not very much — Hillary Clinton’s and Donald J. Trump’s campaigns spent tens of millions online. And yet the Russian campaign seems to have had enormous reach; Facebook has said the I.R.A.’s messages — both its ads and its unpaid posts — were seen by nearly 150 million Americans. How the I.R.A. achieved this mass reach likely has something to do with the dynamics of the ad business, which lets advertisers run many experimental posts to hone their messages, and tends to reward posts that spark outrage and engagement — exactly the sort that the Russians were pushing. 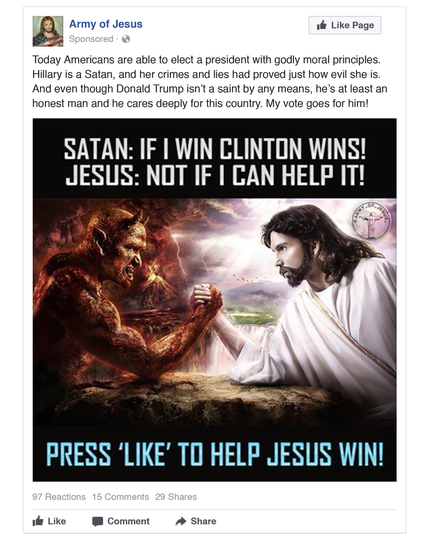 A sample of a Facebook ad that ran around the time of the 2016 presidential election that was eventually linked back to Russian agents. The consequences of the ad business don’t end at foreign propaganda. Consider all the nutty content recently found on YouTube Kids — not just the child-exploitation clips but also videos that seem to be created in whole or in part by algorithms that are mining the system for what’s popular, then creating endless variations. Why would anyone do such a thing? For the ad money. One producer of videos that show antics including his children being scared by clowns told BuzzFeed that he had made more than $100,000 in two months from ads on his videos. YouTube, which is owned by Google, has since pulled down thousands of such disturbing videos; the company said late last year that it was hiring numerous moderators to police the platform. It also tightened the rules for which producers can make money from its ad system. Facebook, too, has made several recent fixes. The company has built a new tool — being tested in Canada and slated to be rolled out more widely this year — that lets people see the different ads being placed by political pages, a move meant to address I.R.A.-like influence campaigns. It has also fixed holes that allowed advertisers to target campaigns by race and religion. And it recently unveiled a new version of its News Feed that is meant to cut down on passively scrolling through posts — part of Mark Zuckerberg’s professed effort to improve the network even, he has said, at the cost of advertising revenue. The tinkering continued on Tuesday, when Facebook also said it would ban ads promoting crypto currency schemes, some of which have fallen into scammy territory. Of course, there is the government. You could imagine some regulator imposing stricter standards for who has access to the online ad system, who makes money from it, how it uses private information and how transparent tech companies must be about it all. But that also seems unlikely; the Honest Ads Act, a proposal to regulate online political ads, has gone nowhere in Congress. One final note: In 2015, Timothy D. Cook, Apple’s chief executive, warned about the dangers of the online ad business, especially its inherent threat to privacy. I wrote a column in which I took Mr. Cook to task — I argued that he had not acknowledged how ad-supported services improved his own company’s devices. I stand by that view, but now I also regret dismissing his warning so cavalierly. Socially, politically and culturally, the online ad business is far more dangerous than I appreciated. Mr. Cook was right, and we should have listened to him.